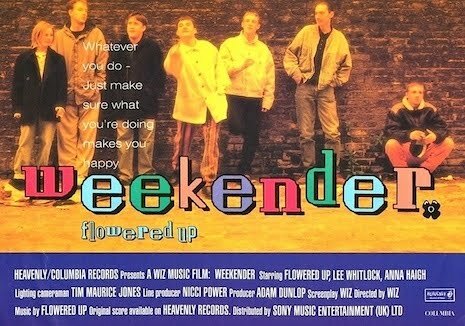 The highly influential music video/short film 'Weekender is now below for you to 'Check This...' Released in 1992 the video was for 'Weekender' by London five-piece band Flowered Up directed by W.I.Z. 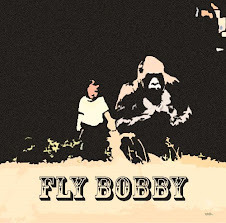 (aka Andrew “W.I.Z.” Whiston) and starring Lee Whitlock. Made in the style of 'Quadrophenia,' 'Weekender' shows the highs and horrors of “E” culture of the time as 'Qudrophenia' did with Mod culture. The short chronicles the week in a working class man life as he tries his best to get through the mind numbing humdrum of a working week to loose himself to drugs and alcohol on the weekend! A Raw, and unflinching look at the boredom and rebelling freedom life offers you, still as powerful today as it was in 1992! "Whatever you do - Just make sure what you're doing makes you happy."